Paul Galvani is an adjunct professor of the marketing department of the Bauer School of Business at the University of Houston. He began writing about food and restaurants in 1997 for the Houston Press and subsequently for The Paper City magazine, as well as Fort Bend Lifestyles magazine, the Houston Chronicle, Edible Houston, Houstonia magazine and Culture Map. 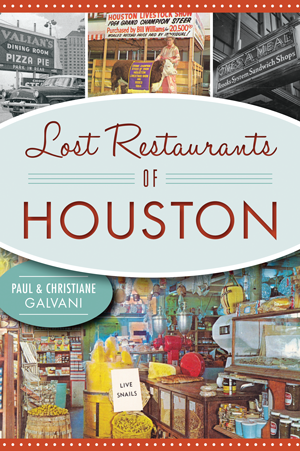 Paul is the author of Houston’s Top 100 Food Trucks, published in 2014. Christiane Galvani, born in Kiel, Germany, is a professional translator, court-licensed interpreter for the State of Texas and an adjunct professor at the Houston Community College with more than thirty years of experience of teaching English to foreign students. When not teaching, translating or cooking, Christiane likes to go visiting hospital patients with her therapy dog, Sophie, a champion counter surfer and unauthorized taster in her own right.